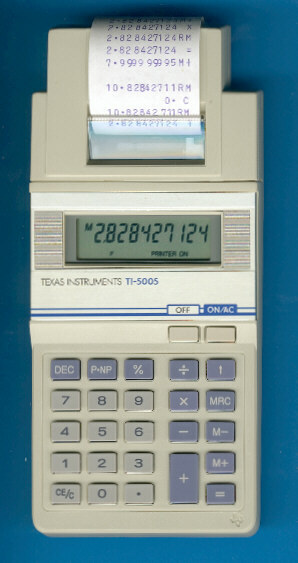 The TI-5005 is one of the early desktop calculators sold by Texas Instruments based on Japenese components and manufacturing capabilities. The printed circuit board (PCB) of the calculator uses a Mitsubishi M50711 single-chip calculator circuit but avoids any designation leading to the manufacturer. Since we found a relationship of the TI-5010 introduced in 1982 to Toshiba we started to search even under hidden places in the calculators. The TI-5005 was soon replaced with the TI-5005 II.